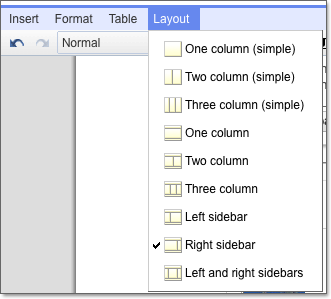 This toolbar is available to logged in collaborators and site owners. If you are an owner but do not see this bar, you need to "Sign in" by clicking the link in the site footer. If you are an owner or a collaborator in the site you can create content. When you edit the page you get an editor toolbar, when you are done editing a page you need to click "Save". Section A: Page specific actions. 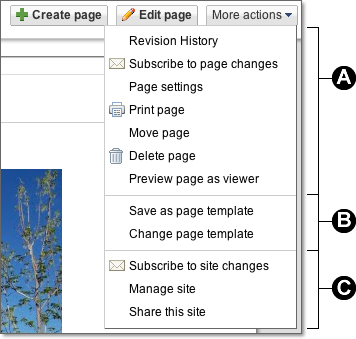 Section B: Page Template Actions. Section C: Site Wide Actions. The site header is an optional site wide feature, by default it is turned on when a site is created. You can customize your site header by adding a site logo. 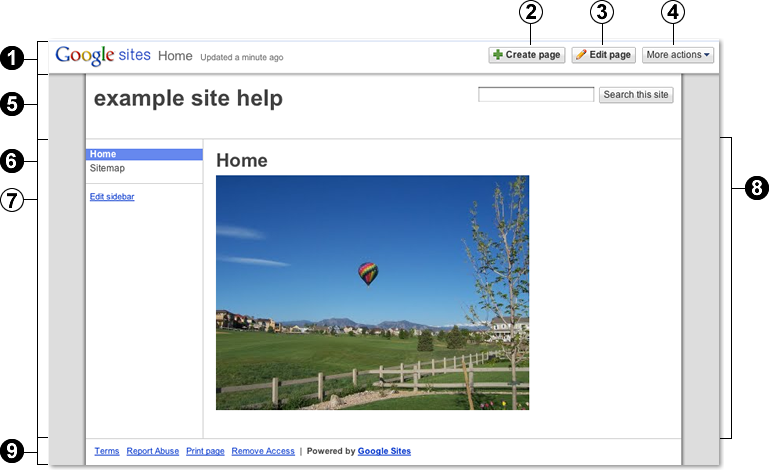 The Site Sidebar is also an optional site wide feature. You can remove it or move its location to the left or right of the main content. 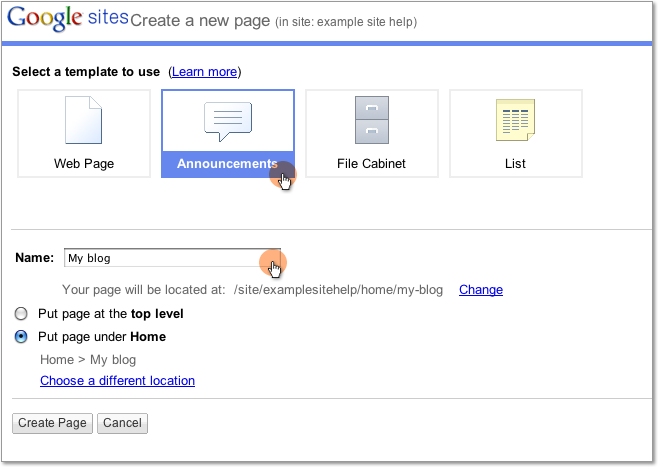 See customizing your site sidebar for more. 7. Edit sidebar link - if you are a site owner you will have a link under your sidebar content that will allow you to customize your sidebar. This is the main area for content created in your site. Sites has 9 out of the box layouts for this area. Note: the width of the sidebar in the main content area is the same width as the site wide sidebar. To adjust this width see the customize your sidebar topic. The footer is always visible on the site. Use the "Sign in" link to access your site.